The author, was perhaps psychoanalysis's most gifted and eloquent spokesperson. 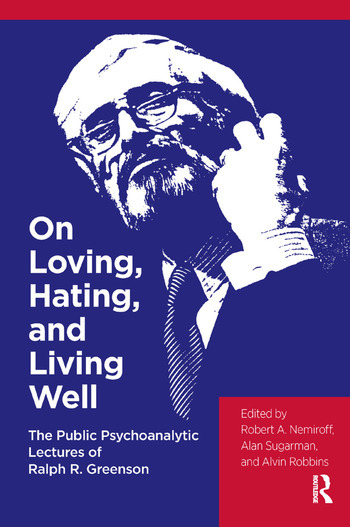 In this volume the author is presented in one of the roles he enjoyed most: communicating to a lay audience his understanding of people and life and his insights into the science and art of psychoanalysis. These important talks profoundly influenced countless professional workers and lay people. The twenty-four public lectures in this remarkable collection are each a gem of wisdom and humor. With deep psychoanalytic wisdom the author addresses such timeless and universal human concerns as love and emotional development; hate, aggression, and war; masculinity, femininity, and sexuality; jealousy, envy, and possessiveness; and the vicissitudes of child rearing and family development. Reading these entertaining public talks of the author now is like reading a chronicle of the great psychosocial issues of the past half-century. One is impressed with not only the wisdom they offer for our current concerns, but also with how revolutionary, original, and prophetic was his thinking.